In space-starved cities around the world, rooms are shrinking to ever smaller proportions. 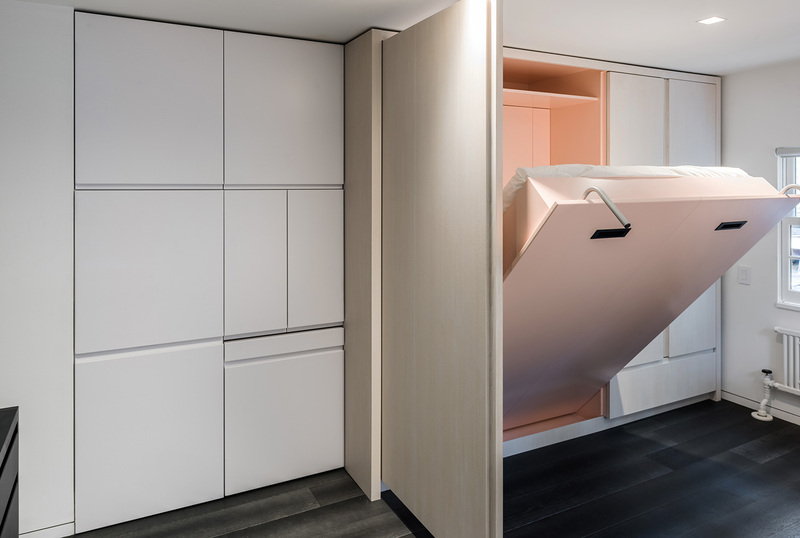 Designers are having to dream up new ways to reinvent micro living – with fold-away furniture or clever use of colour – without scrimping on style. We’ve selected seven small space magicians proving that tiny can still be liveable. 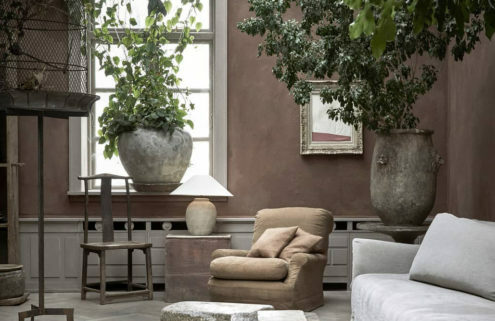 Sometimes, even the grandest of cities need space-saving tricks for their more compact homes. 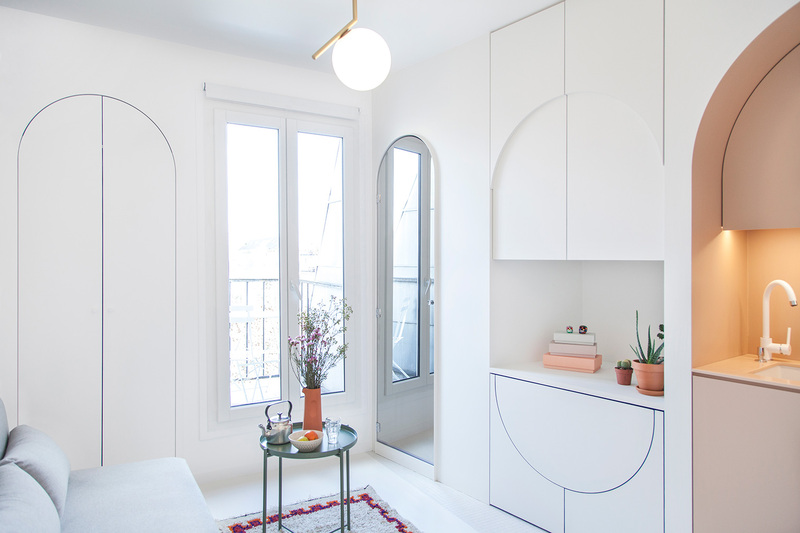 When tasked with renovating a 11 sq m micro apartment in Paris, local studio Batiik used secret storage and folding furniture to make the most of the small space. A dining table pops out from the wall, with room to hide away seating, while the bed doubles as a sofa. Flashes of cobalt blue liven up an otherwise muted colour scheme. 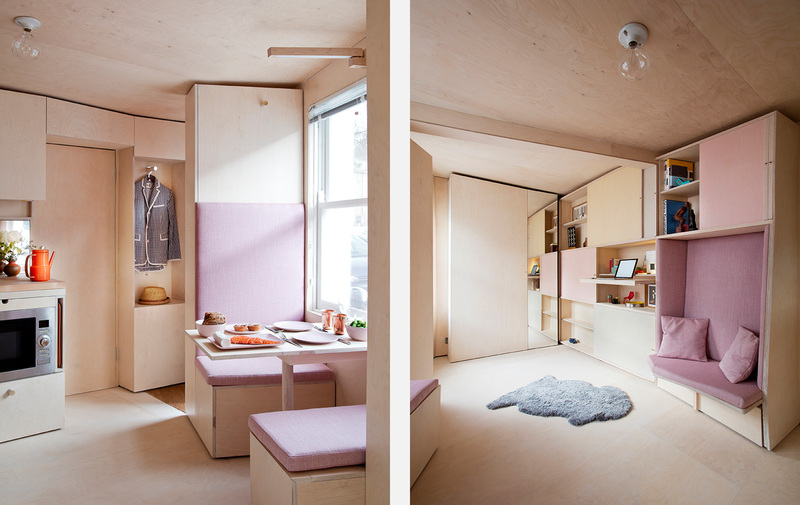 Fold-out multipurpose furniture, storage designed for specific objects, and a lot of plywood was Studiomama’s answer to a 13 sq m London residence, converted from a minicab office. 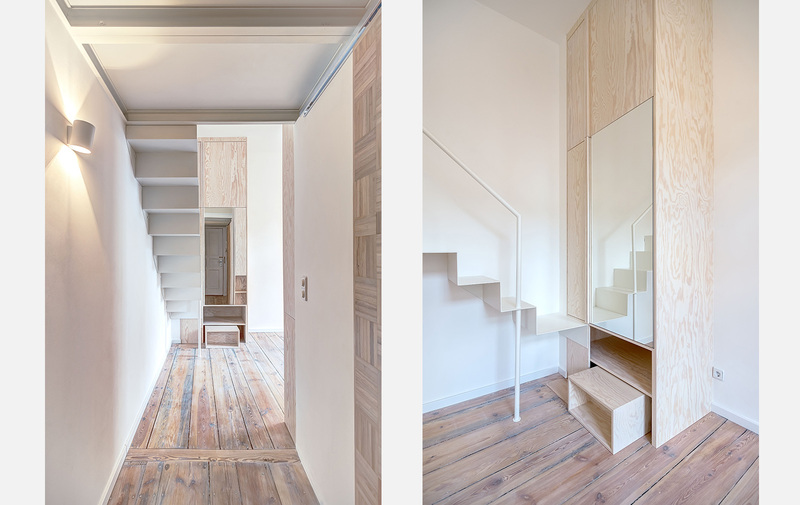 Every element in the tiny building works hard – with doors doubling as desks, extendable seating for surprise visitors and a bed that’s also a pair of bookshelves. 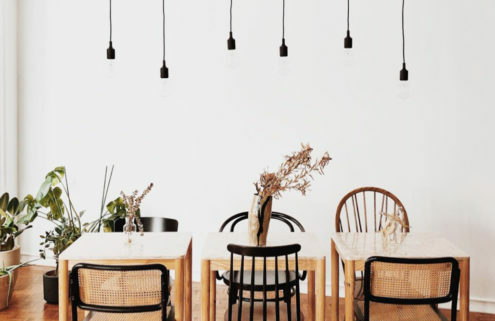 ‘We see the issues of how to live in a compact living space to be of growing importance,’ says co-founder Nina Tolstrup. ‘We wanted to use the project to pose a question about what are the things that we really need to live comfortably.’ The designer’s aim was for the space to ‘work intuitively, without too many electronic or hidden functions’. 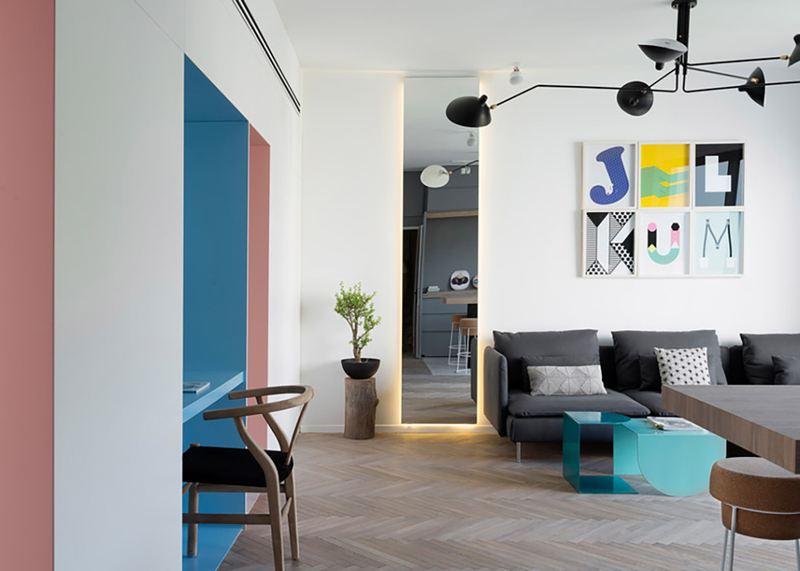 Tel Aviv designer Maayan Zusman has a few tricks up her sleeve when it comes to transforming small spaces. 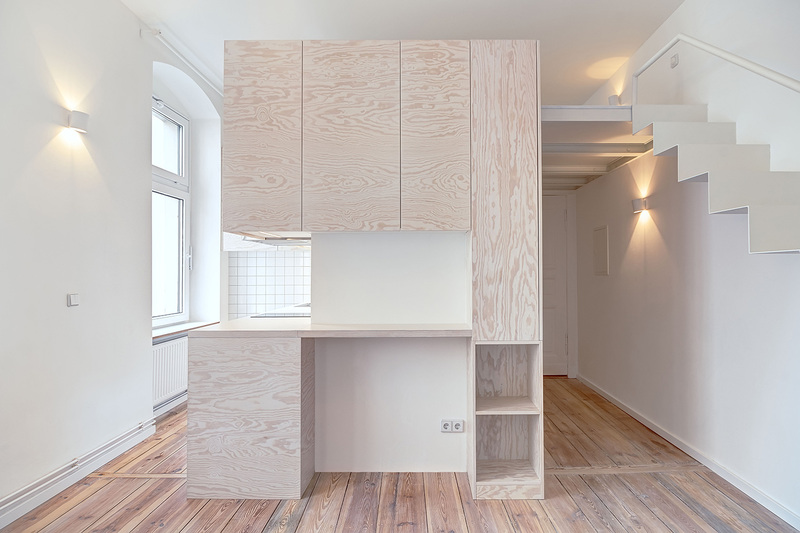 While working on the refurb of a 55 sq m micro apartment in the city, Zusman designed bespoke carpentry that added hidden storage, as well as a tiny office niche for working at home. Wooden panelling divides the living space from the bedrooms, and saves a precious 10 cm that would have been added by a wall. 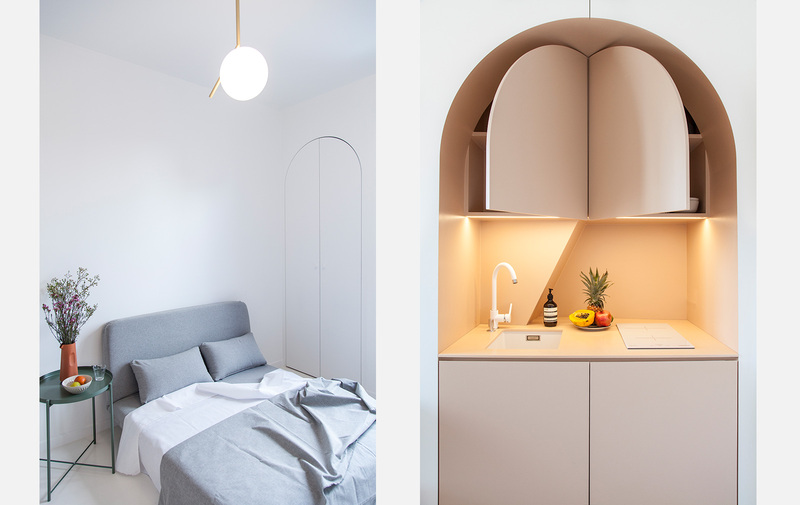 ‘Every centimetre is crucial in the design of small spaces,’ says Paola Bagna, who’s overseen the transformation of several tiny apartments in Berlin, including Micro Apartment Moabit, measuring just 21 sq m.
For Bagna it’s all about the details, focusing on using good lighting and materials, and insisting on multifunctional custom-made elements that use every bit of space available – with floating staircases, mezzanine sleeping areas and pull-down wardrobes. 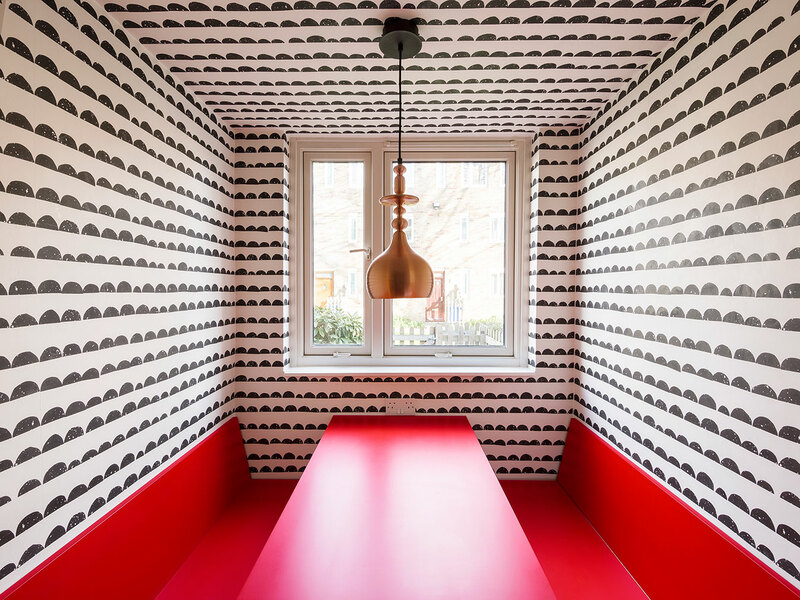 ‘A bad room is always poorly organised,’ says Alexander Fehre, whose renovation of a 45 sq m London apartment proves that pattern can still work in pocket-sized homes. 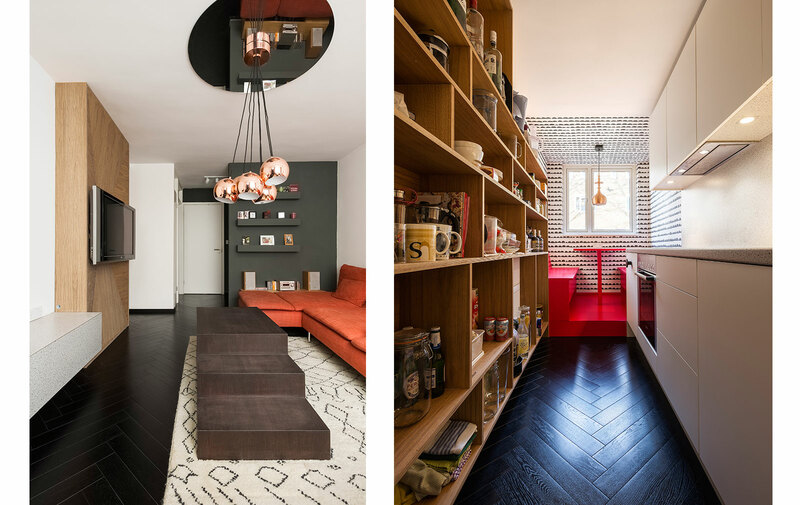 Bespoke shelving adds storage space to a narrow kitchen, while a diner-style eating area is marked out in bright red. 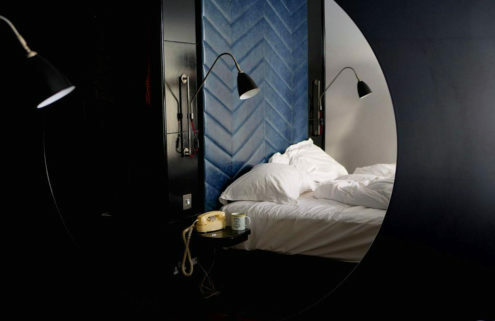 Mirrored surfaces also add the illusion of extra space. 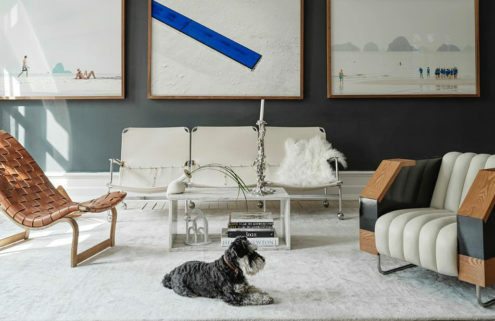 Once dubbed the ‘micro-living guru’, Michael Chen has tackled several miniscule Manhattan apartments. While overhauling a 21 sq m studio in the city’s West Village, the architect tapped into its attic space, turning it into extra clothes storage as well as a place to hide an extendable dining table and pull-out work station. 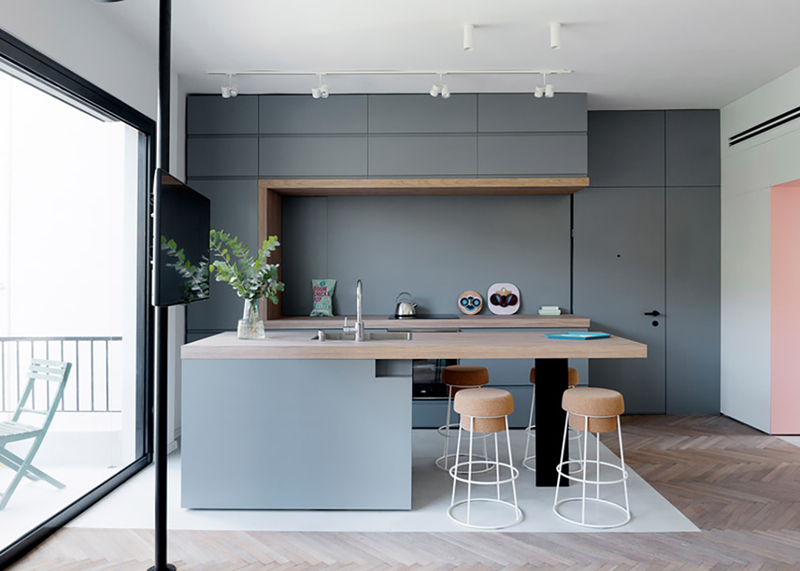 Focusing on ‘transforming elements’ allows each area of the apartment to do double duty, while a colour palette of white, charcoal and pink creates a ‘subdued but lively’ environment. ‘There is something satisfying about inhabiting spaces without surplus or excess,’ says Nicholas Gurney, who often uses sliding or folding mechanisms, and hybrid furniture-storage pieces when designing diminutive homes. 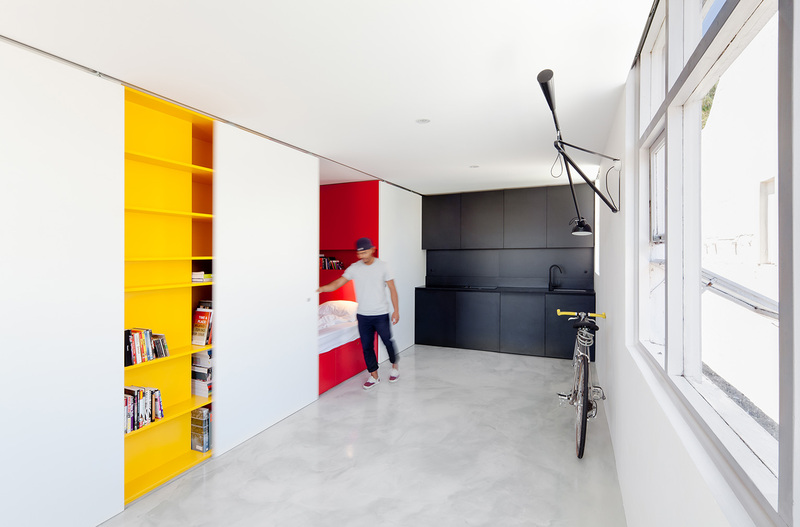 Colour is also a powerful tool for the Sydney designer, who uses it to mark out specific living zones – creating a bright red sleeping area within a ‘joinery pod’ for a 27 sq m apartment in Woolloomooloo.